The Middle East is termed as a place of ‘big dreams’ for a good reason. Here we find some of the world’s most magnificent towers and malls. Infrastructural development is fast paced, demanding modern engineering solutions that blend local knowledge and global expertise. If the events of the last 12 months are anything to go by, optimism about successful implementation of massive engineering projects in the region is high. Even in the wake of the rumored ‘capacity crunch’, budget surpluses and a healthy economic growth seem enough to propel the various dreams in this region. Here is a rundown of future engineering projects in the Middle East that demonstrates the point that every corner of the region is looking at a bright future. The foundation stone for the Makkah Gate housing scheme may have been laid in 2012, but this project is still considered a future one considering that it is part of a long-term strategy to develop the region. When complete, the residential project will accommodate 800,000 residents. Estimated to cost $16bn, this massive project is only 5km and 18km from the Qur’an Gate and the Grand Mosque in Mecca in mecca respectively. Some of the things within the zone include big mosque and garden, sports clubs, sewage plants, solar plants and a commercial zone. On June 12, 2018, Aknaf Al-Khaleej Company signed an agreement with the mayor of Makkah for the establishment of the integrated residential neighborhood. Istanbul New Airport will be the largest in the world once complete. Although the $29 billion project started in 2015, works are expected to continue until 2030. Only 26% of the project was done by June 2016, meaning that there is still a lot to be covered. Phase 1 of the project opens 29 October 2018, which coincides with Turkey’s 95th Republic Day. It will then accommodate 90 million passengers annually, but 200 million when complete. In Jordan, a project that is aimed at offering residences, improving the lives of citizens and improving services was announced in 2017. This project is in line with the Jordan Vision 2025. Covering an estimated 39 square kilometers area, the new Amman City is strategically placed near international roads, for instance the one linking Iraq and the Kingdom of Saudi Arabia. Not to be left behind, Kuwait is planning to inject $160 billion worth of investments towards the establishment of five islands namely Boubyan, Warba, Failaka, Maskan and Aouha. Akin to the ones in Venice, Italy, these islands will act as leisure and tourism destinations. Completion of this project is expected to take 20 years, after which 200,000 jobs will be created. Tired of oil exports dependence, the Saudi government is embarking on a $500 billion project on an industrial and business zone linked with Egypt and Jordan. The 10,230 square mile zone will focus on a number of industries including advanced manufacturing, entertainment, energy, water and biotechnology. In the coming years, global investors, the government and the Public Investment Fund of Saudi Arabia will be expecting to pump money into the project. Saudi Aramco has had huge projects before, but few can measure to the magnitude of the Marjan Development project, which is touted to cost $12 billion dollar. Engineering contractors can benefit from this mega project that is already drawing attention from across the globe. Divided into offshore and onshore components, the project is mostly associated with oil exploration and mining. Is the Middle East home to the next economic miracle? That seems to be the provocative question for economic and business pundits. In the past, we have seen project sponsors and project development organizations overlook design and initial stage engineering. Whether it is lack of funds or simply the urge to complete projects fast, the results tend to be of lower quality than possible. We can only hope that reputable engineering solutions providers will have the chance to contribute to these future engineering projects for maximum social economic benefits. 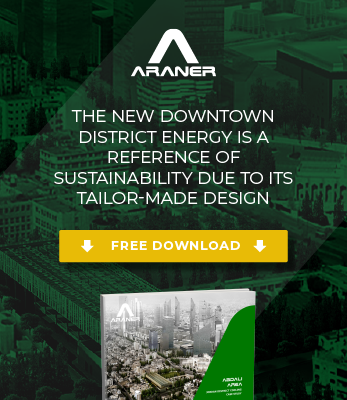 ARANER is a highly visible in energy, chemical, marine, power, gas, food and beverage industries, so it would play a critical role in all these mega projects. Most importantly, the company has a rich history of success in Middle East projects.